Genuine Al-Rehab spray perfume from UAE/Saudi Arabia. The same beautiful fragrance now available in a spray version. 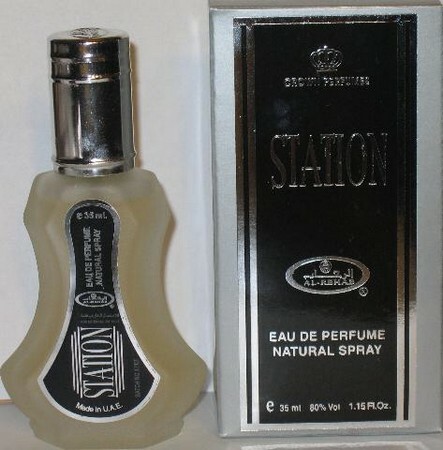 Note that spray perfume contains denatured alcohol. Denatured refers to the removal of the ethanol product's usage as a beverage/drink and is considered halal to use by Muslims. Usuage of this spray perfume is approved by reliable scholars of Islam. Available in a wide variety of fragrances including the following: Aroosah, Aseel, Bakhour, Khaliji, Lord, Mokhlat Al Rehab, Oudy, Rasha, Red Rose, Saat Safa, and Silver.